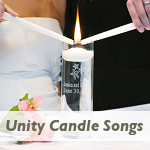 Unity candle music will lend that little extra mood and feeling to this special part of your wedding ceremony. 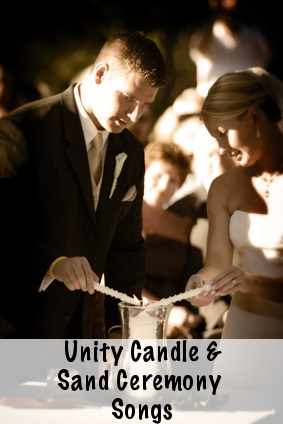 The unity candle ceremony is an optional but very popular part of many modern wedding ceremonies. The lighting of the unity candle is symbolic of the joining together of the bride and groom and on a larger scope the two families. The unity candle ceremony uses two taper candles with a large pillar candle (the unity candle) in the center. At the start of the wedding ceremony, one of each of the families (usually the parents of the bride and groom), will light the two taper candles. At the appropriate time during the ceremony (usually after the vows) the minister will explain the symbolic ritual to the guests and the bride and groom will then use the two taper candles to light the larger unity candle together. Some couples prefer to save the unity candle and to light it every year on their anniversary. For outdoor and beach weddings the unity candle ceremony can be exchanged for a Sand Ceremony which is similar in concept but uses colored sand instead of candles. Candle of Unity - KayaMBeE - Unity Candle Music written with this ceremony in mind. 1. Listen to the lyrics of some of the unity candle songs above and pick one that closely relates you the story of the two of you and how you feel about each other. This Little Light of Mine ( a sweet little gospel song). 3. Do rehearse your this part of your ceremony with the unity candle music during your ceremony rehearsal. This helps everyone (especially if you are including children) to feel confident in what they have to do on the day. 4. When you play your unity candle music during the rehearsal you can also estimate how long it will take you to complete the ceremony. You can then decide on a place in the song where it can be faded out or cut short (if you are having it sung by someone). It can become awkward to stand around and wait for the song to finish if you have chosen one that is rather long. If you are concerned about doing this then opt for one of the instrumental versions above. They can be very easily faded out. 5. You also need to decide when during your Unity Candle Ceremony do you want to start the music. If you have chosen a beautiful instrumental piece, then you can start it softly in the background while the officiant explains the symbolism. You can then have it turned up slightly when the minister is finished and you silently light the unity candle. 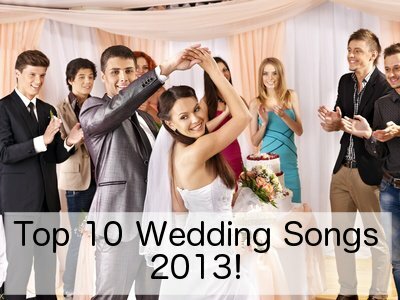 If you have chosen a song with vocals then start it after the officiant has done his/her part. You don't want the song to compete with what he/she has to say. 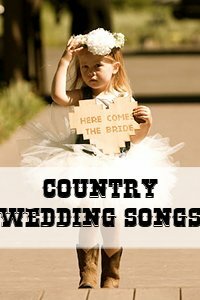 Choosing your first dance wedding music? 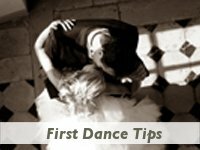 Whether you want something low key and simple or an elaborately choreographed first dance, Click Here for some tips on how to make the most out of this special moment!